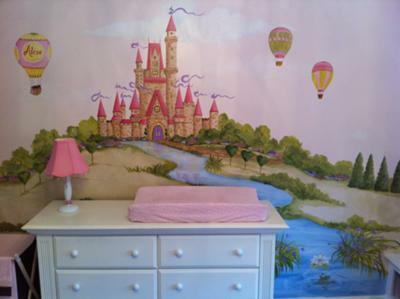 Our inspiration for our baby nursery was knowing our first princess would be born, so we we wanted to create a princess room! We painted with Behr paint beginning with the walls in a light pink color and the ceiling in sky blue with light pink accents throughout. The crib and furniture is Munire. The daddy-to-be created built in shelves along with a window seat for our daughter to enjoy in the future. 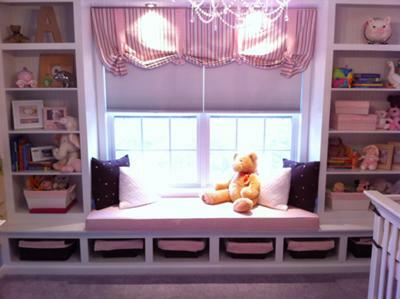 The window treatments, pillows and basket covers were all handmade by the mommy-to-be and grandmother-to-be. 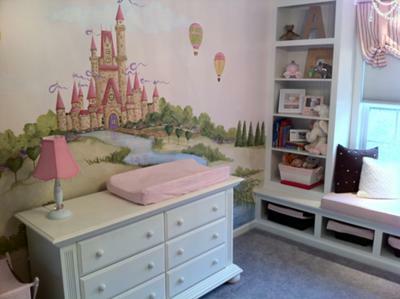 The grandmother-to-be is a muralist so she created beautiful paintings on the walls throughout the room. All of our daughter's goodies are stored in baskets and on shelves in the her room. The entire project took three months to complete. This was such a fun project to see come to fruition. 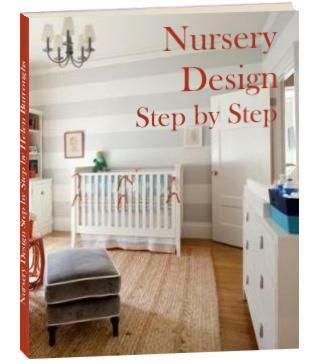 Our favorite part of the room is the built in shelving unit and hand painting as it was all done with love for our new daughter. Our daughter's room is by far the most beautiful room in our house. It is so serene and peaceful. We love to spend time in the room with her! Any advice on how to paint a tree like yours? Best one I have seen anywhere! Did you paint each leaf or stamp them? What type of paint did you use? Thanks! The thing I like about the room is it will grow with the girl. She'll love it until she's a teen. 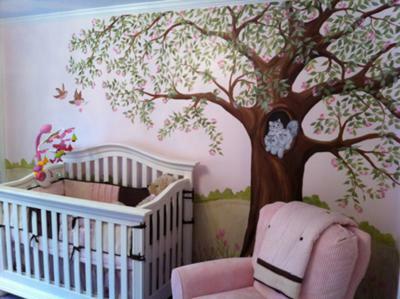 I love, love, love the little squirrels - your nursery is beautiful!